This week, Christmas week, is made for fast, easy meals and a little tasty treat now and then, right? I mean, I need fast because I need to wrap those billion presents that I foolishly purchased over the last couple of weeks that my kids don’t need AND I need a pick-me-up from all the hype–oh, who am I kidding–I just want chocolate. For breakfast. Hence: breakfast chocolate. 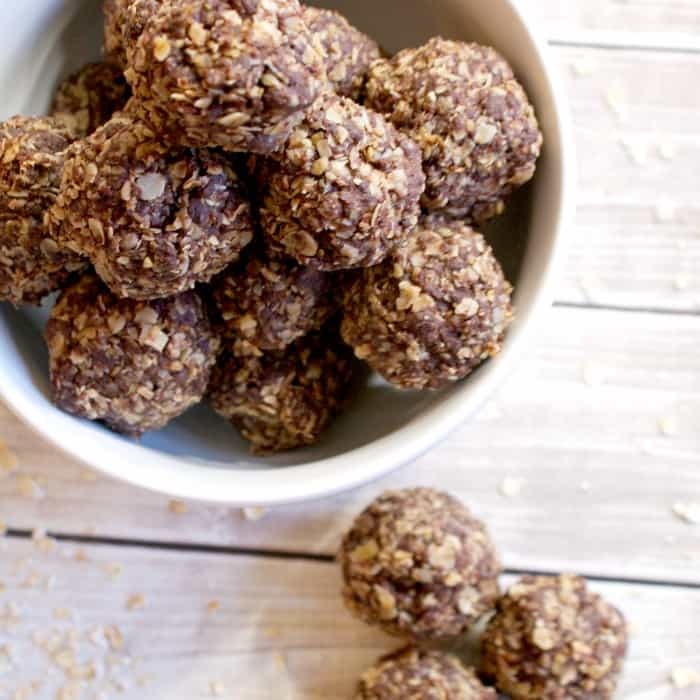 Oatmeal–sure, but these Dairy-Free Chocolate Breakfast Balls are just mostly breakfast chocolate. I mean, I’m not trying to kid anyone this week…heh. 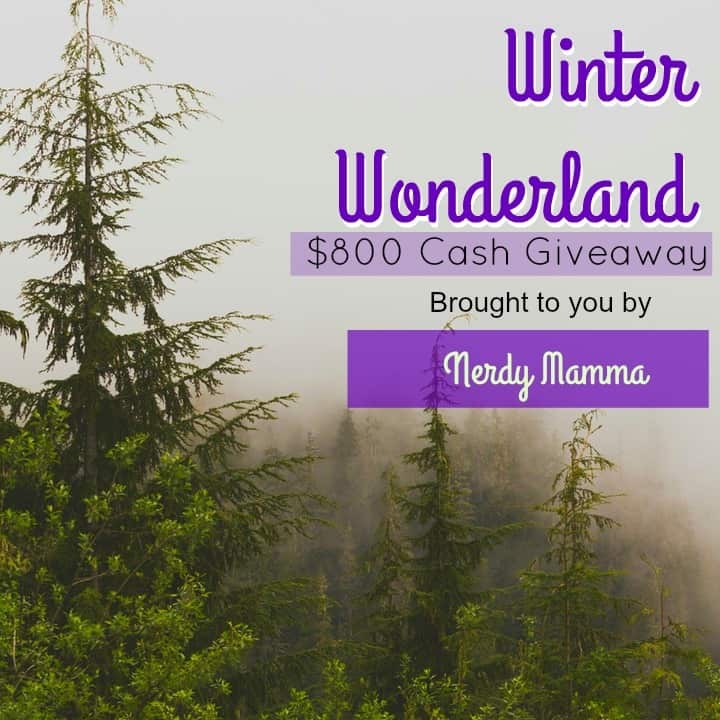 Oh, and there’s an $800 giveaway. So, Merry Christmas. I just like chocolate and the “healthy” of this breakfast being the oatmeal, well, I like that, too. It’s kind of awesome of me that I combined those two things for you, isn’t it? 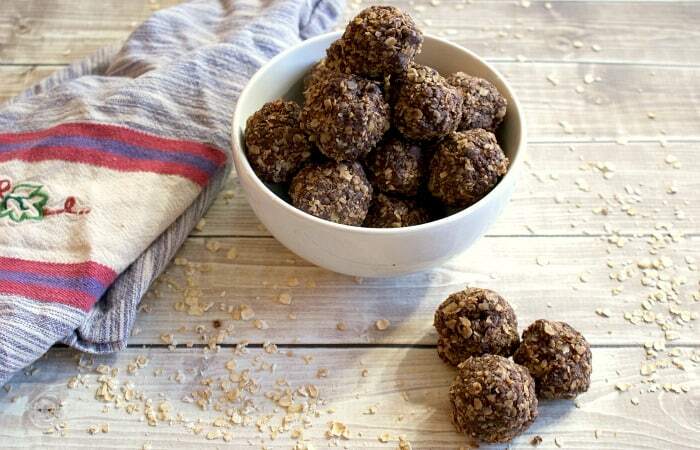 I mean, these are basically no-bake cookies that you’re allowed to eat for breakfast. Because I said so. I’m having some right now and It’s not even breakfast time. So, there. It’s like any excuse for chocolate, in my opinion. Just today, though. Next week I’m sure I’ll be like: I hate chocolate. Right. Riiiiight…. Breakfast chocolate. 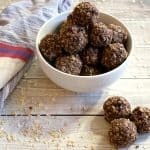 Oatmeal--sure, but these Dairy-Free Chocolate Breakfast Balls are just mostly breakfast chocolate. I mean, I'm not trying to kid anyone this week...heh. Place the chocolate in a microwave safe bowl and microwave on high in 30-second increments, stirring between, until the chocolate is smooth. Add sugar and salt, followed immediately by 1/3 of the oats. Add the remaining portion of oats and mix thoroughly with your hands until combined. Shape the dough into small balls with your hands. 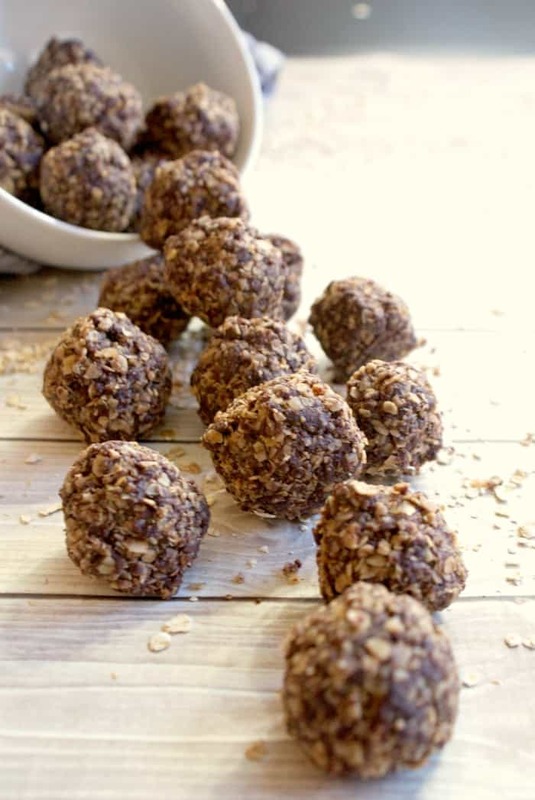 It's ok with me if you want to say "Shape of: A Chocolate Breakfast Ball!" in the WonderTwin kind of way...heh. Place in the refrigerator for approximately 10 minutes or until hard. Or just eat them right then and there over the sink--I'm not judging. No judging. This giveaway is open WW. The giveaway goes live on 12/20/15 and ends on 1/25/16 The winners will be chosen using random.org and will be notified via email no later than 1/30/16. The winners have 48 hours to claim prize before it’s forfeit and another winner is chosen. Entering the giveaway you must be 18 years or older. Void where prohibited.